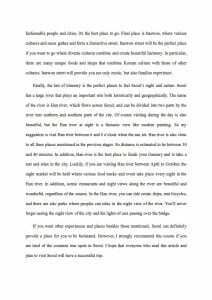 After writing two essays, I went through the process of checking the grammatical errors or wrong word choices, and correcting the mistakes. 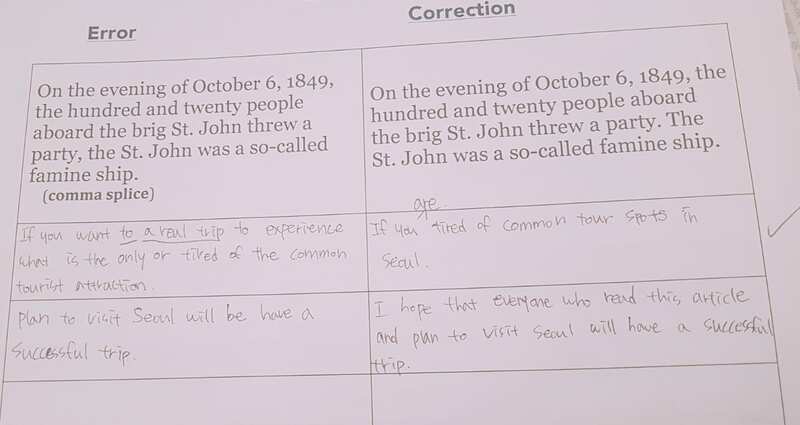 The most frequently found errors in the first and second essays were incorrect sentences that didn’t fit SVO format, and plural errors. 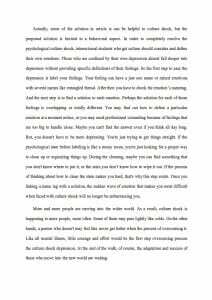 When I first wrote my essay, I didn’t know anything about my grammar weaknesses. 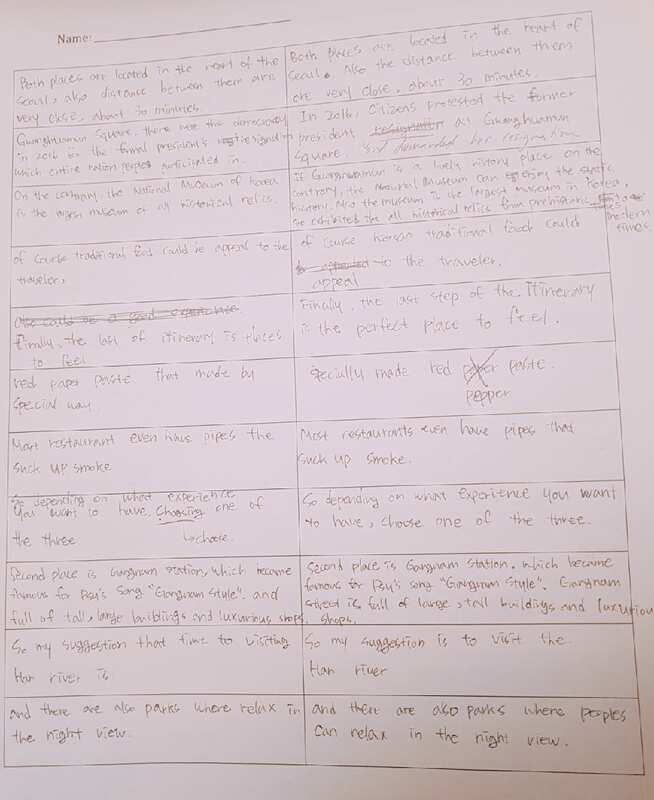 However, this error log helped me to check and correct the mistakes when I wrote my second essay. 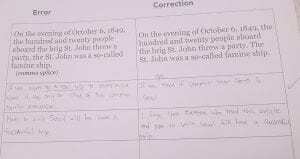 Besides mistakes in grammar, it was certainly helpful to find various mistakes such as run-on sentences and spelling mistakes. 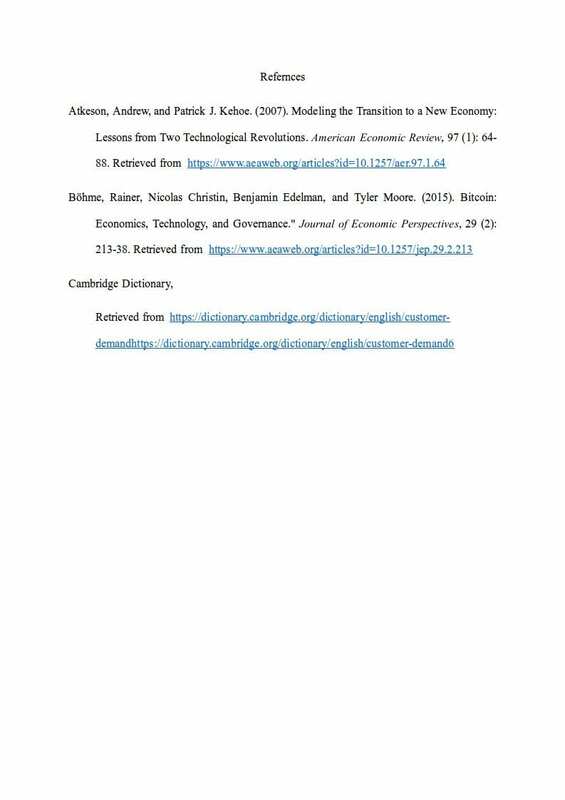 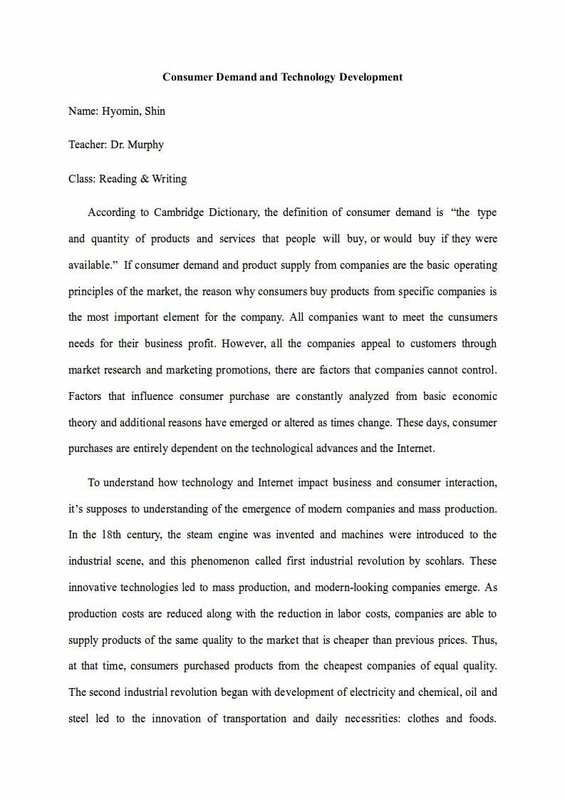 The last essay was a arguable essay to find academic reference materials and deliver professional knowledge based on them. 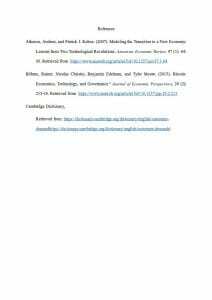 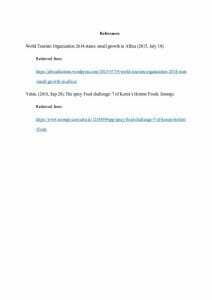 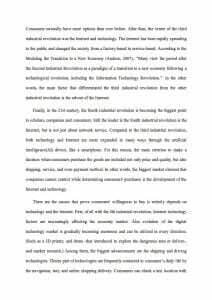 I found a topic by linking the fourth industrial revolution with the economy. 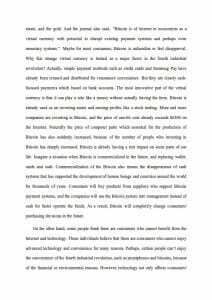 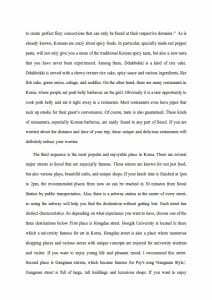 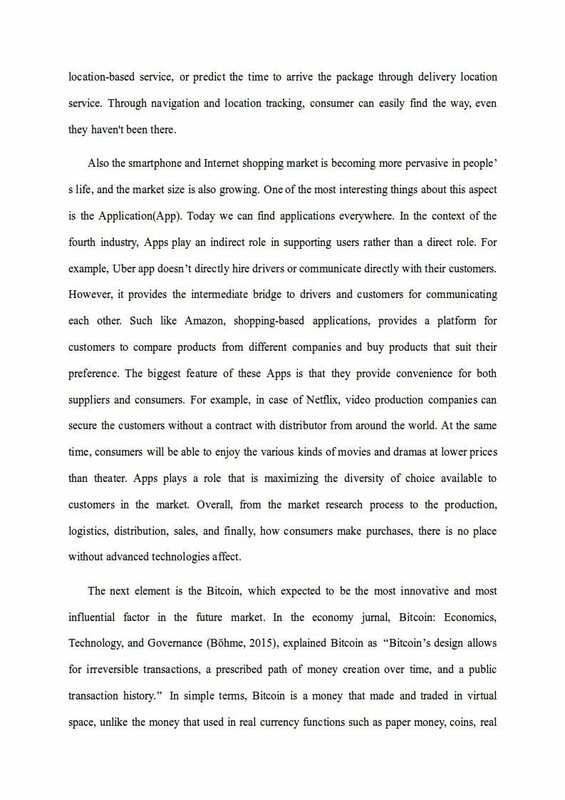 The most difficult thing while write this essay was the explain of technical explanation for the general public reader. 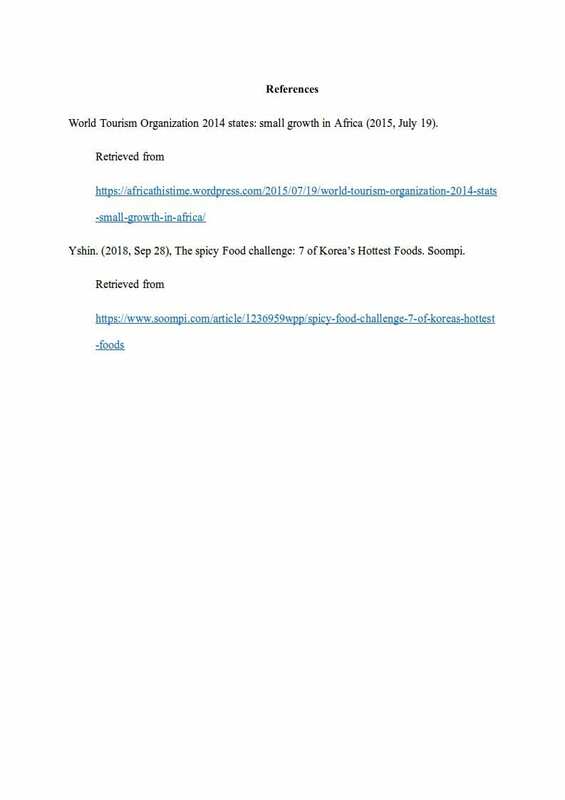 Also I asked for help because I did not know how to translate professional words into English. 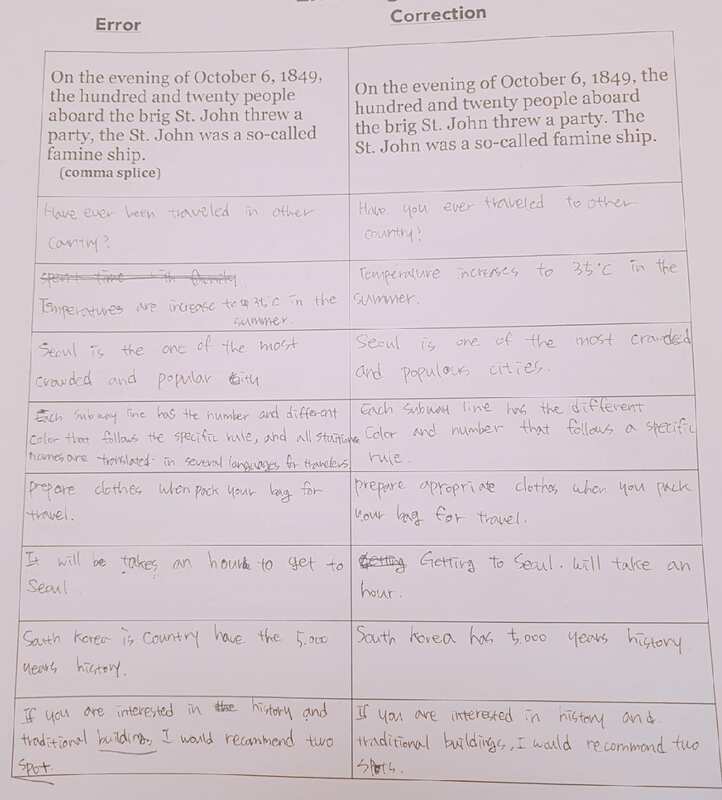 However, unlike the original peer review, the fish bowl peer review that all of my classmates read their essays and give feedback was really helpful to me. 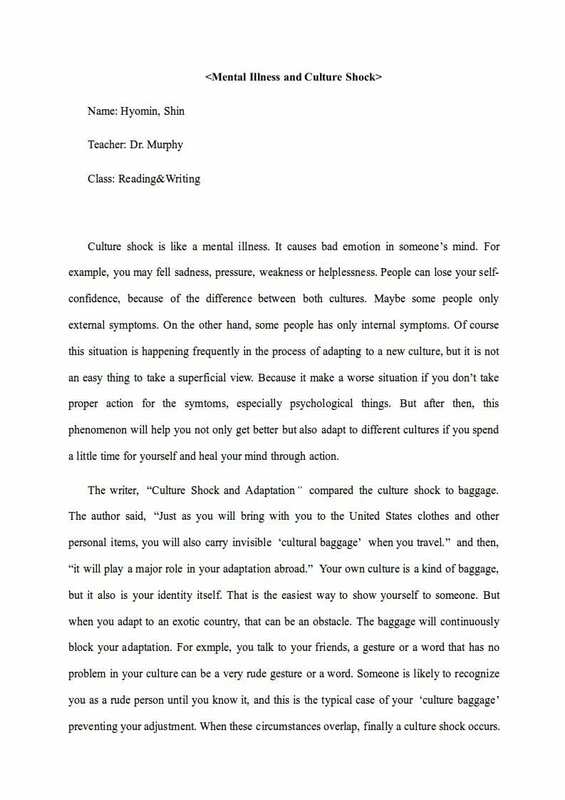 My classmates and Dr. Murphy read my essay and gave me the advice that I wanted. 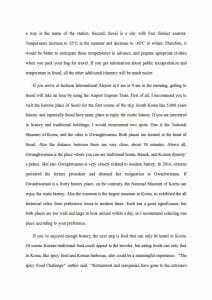 My essay’s biggest problem was that it wasn’t understandable to the public, so I could find a way to revise my essay based on their advice. 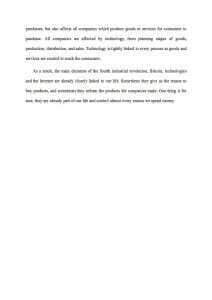 On the contrary, the most enjoyable part of this essay was taking easy examples to explain difficult theories. 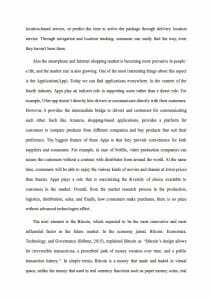 For example, I mentioned the Netflix and the Uber app for explain the correlation between technology and consumption. 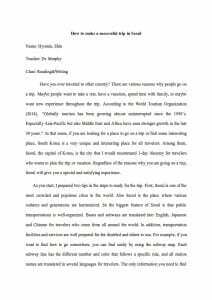 My final essay is have many weakness as well as a strength, but as a result, it’s improved my understanding the process of writing an essay in English. 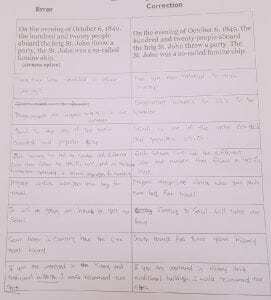 The purpose of the second essay was to set a specific topic and explain the process. 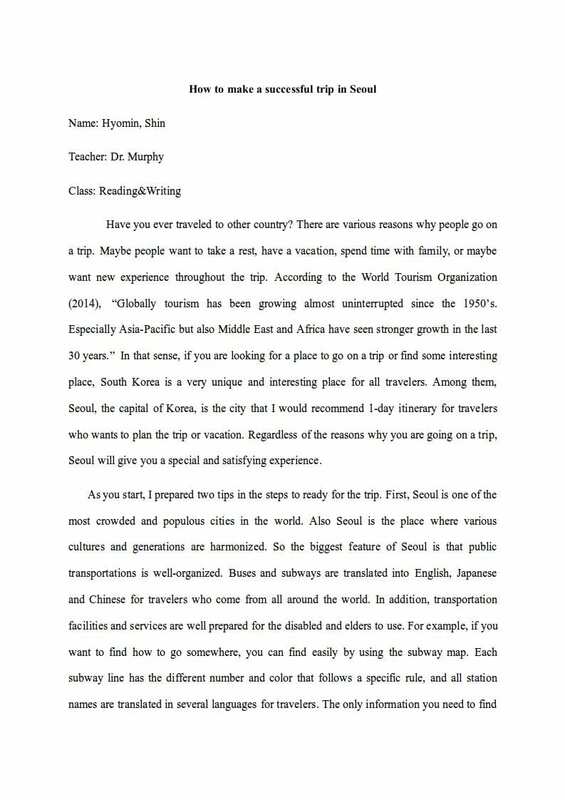 My topic was an essay for trip to Seoul, where is my hometown. 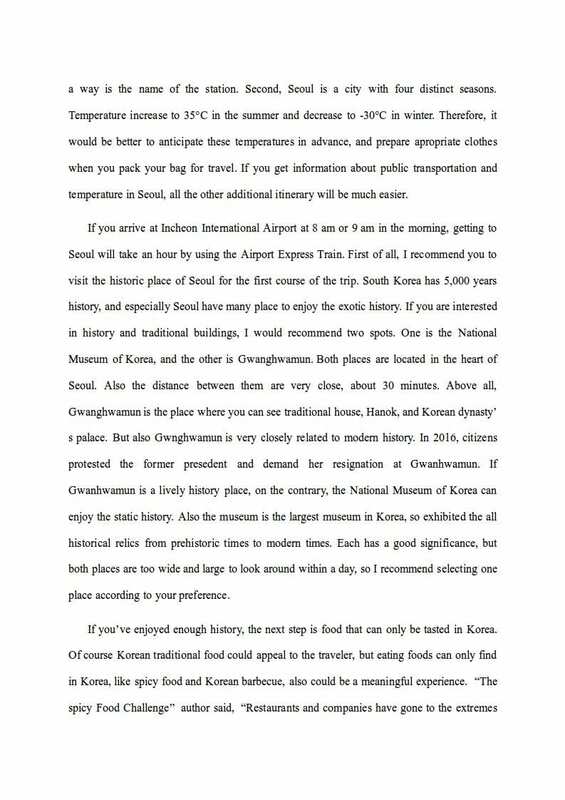 I was really happy to write this essay because I thought about Korea and the neighborhood I grew up throughout in this writing. 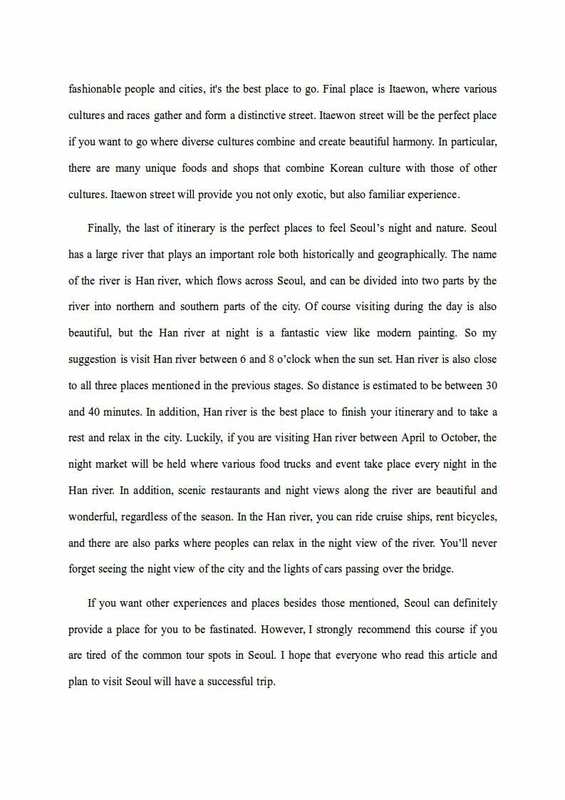 I felt like planning a trip with my friends or family. 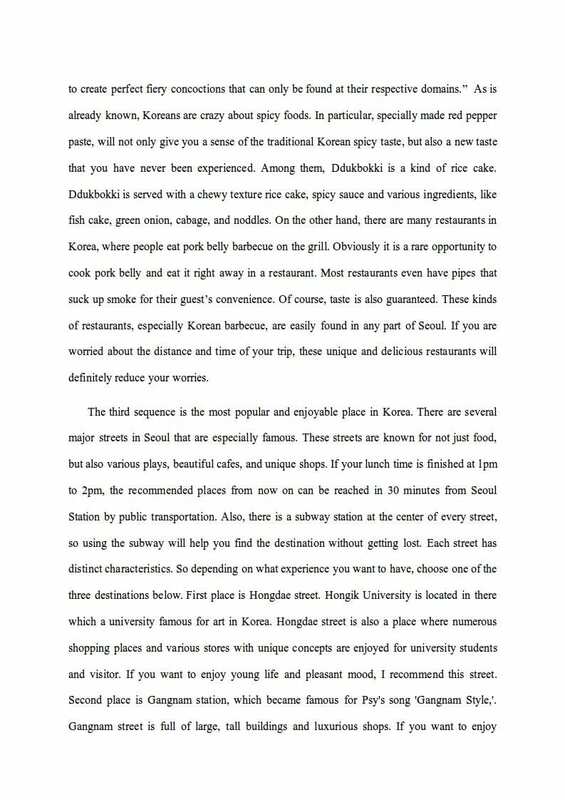 The most enjoyable paragraph is about Korean food, which reminds me of the spicy taste. 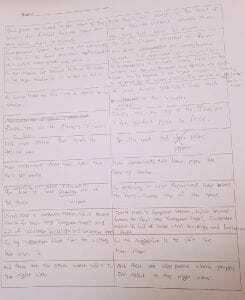 There were still many unorganized sentences, but it was a good experience to me because I wrote a successful essay for the purpose of the class. 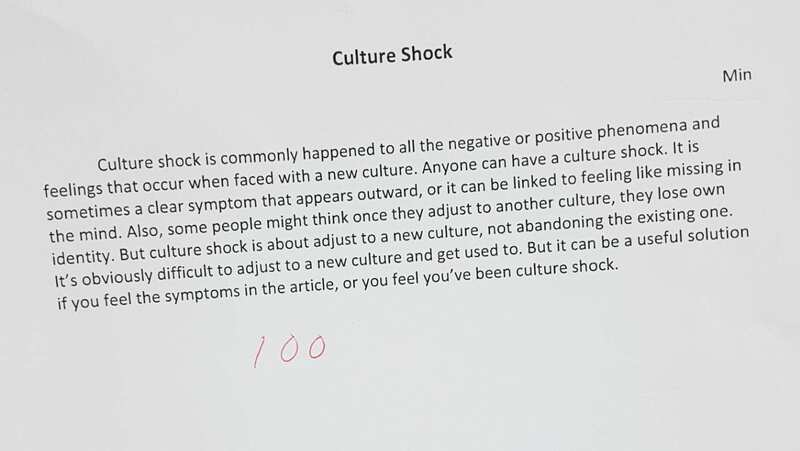 In class time I try to summarize without plagiarism after read article about culture shock, and using the way how to to mark APR that I refer site in class. 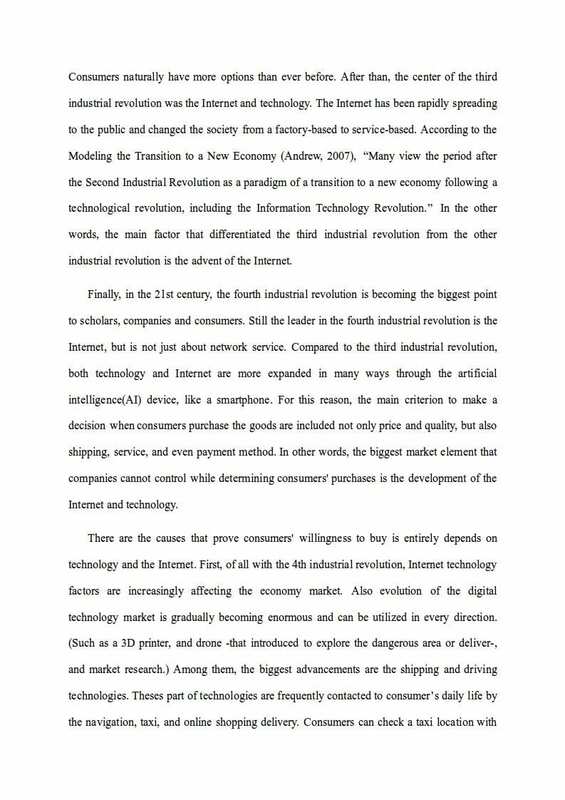 And before the start of writing response essay, I’m summarize the whole article briefly, and made a basic structure. 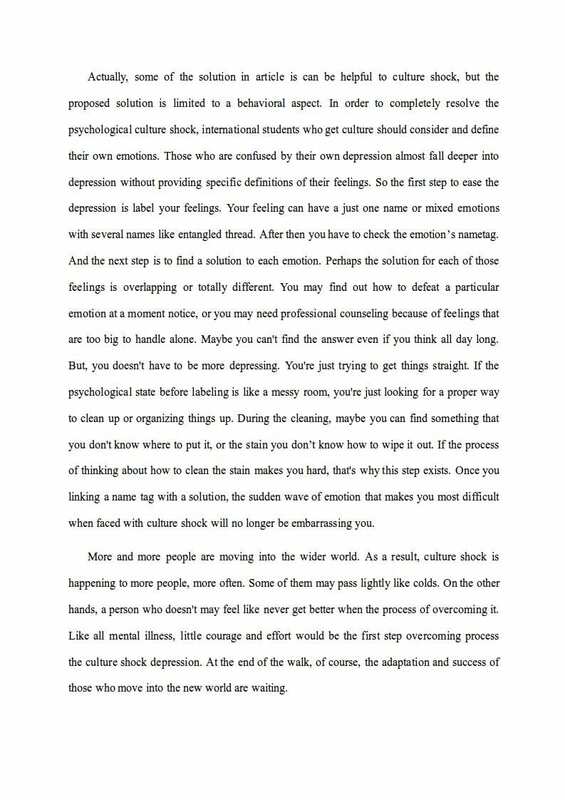 First picture is became the part of my first essay in class. 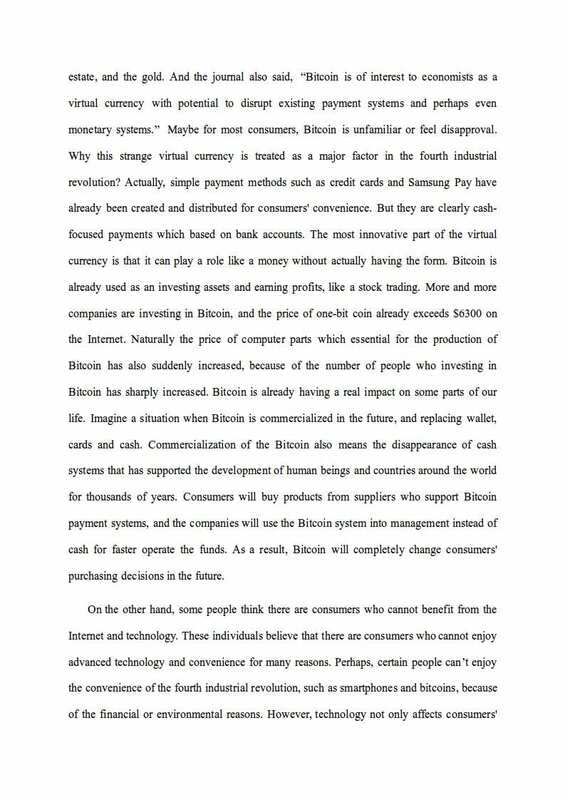 And this is the origin article. 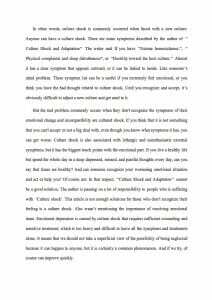 The first English essay was fun and interesting because I learned a lot of new things, like APA style. 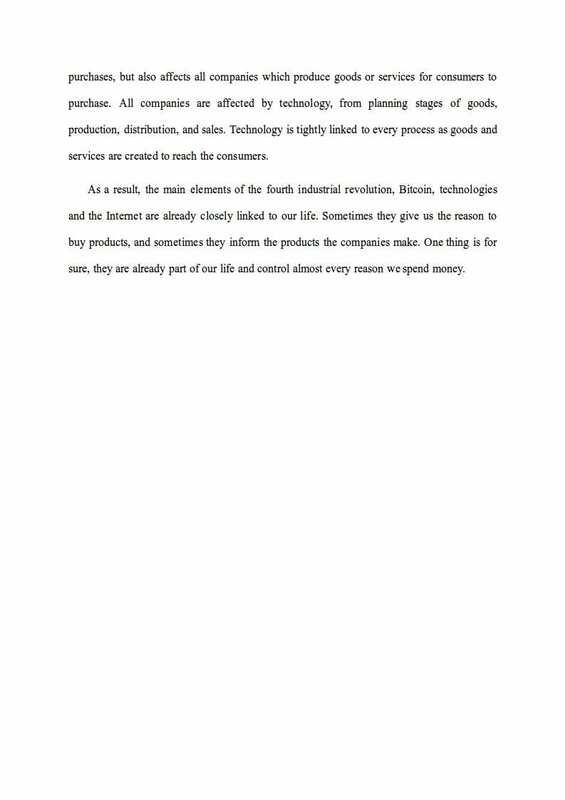 However, it was also difficult because I had to make a complete essay by putting everything together that I learned. 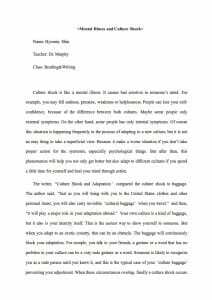 This essay gave me the opportunity to know how many grammar mistakes I made. 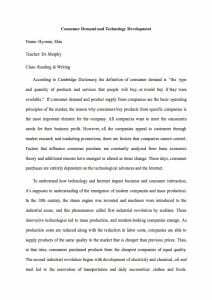 As a result, I learned a essay process in step by step(brainstorming, draft, proof reading, etc) and the aspect of writing and follow the writing process, I spent a valuable time for this essay.